Rated: R Brutal disturbing images, strong violence and language. REVIEW: Kathryn Bigelow won the Oscar for Best Picture for her film The Hurt Locker. Before that she had big with successes with Point Break, Near Dark, and Strange Days. Returning to the deserts of the Middle East, she reteams with The Hurt Locker scribe Mark Boal to tell the tale of the biggest manhunt of the 20th century. Maya (Jessica Chastain, Lawless), a CIA field analyst, is sent to Pakistan two years after the attacks on the World Trade Center towers on September 11th, 2001. Taking part in the brutal interrogations of middle eastern detainees with ties to Alcaida and other terrorists groups, Maya uncovers a network of couriers who may lead to Osama bin Laden. After several years and several other successful bombings around the globe, Maya has to fight the war to capture Osama bin Laden on several fronts, including against a change complexion of terrorism, a United States government with a changing policy concerning interrogations and detainees, and a ticking clock against more pain and death. Zero Dark Thirty is Kathryn Bigelow's second film to take place in the conflicts of the Middle East. 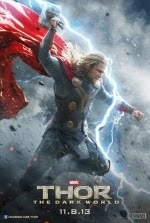 From Jeremy Renner's turn as a bomb disposal expert in the hateful sands of the region to the long pursuit of the terrorist Osama bin Laden, Bigelow's captures the tireless persistence of American patriots who fight for the freedoms of their homeland at a cost that may be too lofty to truly commiserate. Bigelow opens the film with complete darkness and the iconic date of "September 11th, 2001". All that is heard is various recordings from officials, air traffic controllers, 911 operators, and workers in the World Trade towers. As American society was plunged into a pessimistic darkness, Bigelow hurls us two years later where a young CIA agent recruited straight out of high school and into a CIA Black Site where seasoned agent Dan (Jason Clarke, Lawless) interrogates a money man with ties to the 9/11 attacks. We do not stay anywhere too long, as the hunt for Osama bin Laden and twenty of the top leaders of the Alcaida terror network. Maya is the fulcrum - with agents, detainees, soldiers, technicians, analysts, and terrorists changing around her over the years she struggled and sacrificed in her pursuit for bringing bin Laden to justice. 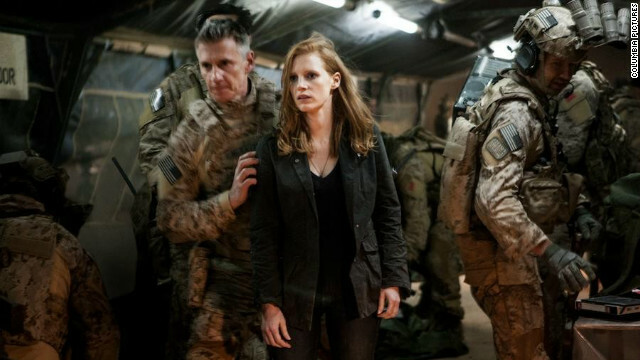 Jessica Chastain starts off her career as Maya as a tough, but new recruit assigned to overseeing CIA Black Site interrogations. As the years go on, Chastain hardens her character into a woman with a singular diamond point focus against the man who is a ghost in the Middle Eastern sands. As the pressure to find bin Laden grows, Maya butts heads and egos against her station chief Joseph Bradley (Kyle Chandler, Argo) for more resources, mourns for the loss of interrogative freedom along with Dan, and constantly struggles against the slow grind of political red tape against supervisor George (Mark Strong, Green Lantern) and the CIA Director (James Gandolfini, Killing Them Softly). Will the government move on intel that in less than 100%? Even the Seal Team 6 members, although well trained, are skeptical of the mission parameters. Squadron Team Leader Patrick (Joel Edgerton, The Odd Life of Timothy Green) and DEVGRU Justin (Chris Pratt, Moneyball) follow orders on the instincts of a woman who may be the singularly most knowledgeable person on who and where Osama bin Laden is. Coming in at 157 minutes, you can feel the emotional toll that the ten years have on main character Maya in the story. The pace is slow and even, plodding along with the teams and analysts as they miss opportunities to capture key personal with knowledge of bin Laden's network. They unravel around the edges as terrorist cells continue to plot and carry out their destructive missions. As the end nears, the tension rises in the CIA bunkers in Langley, Virginia and in the Pakistan darkness. But the actual incursion by Seal Team 6 on the bin Laden compound seems too real world slow and methodical to work as the climatic ending on the big screen. Bigelow and Boal use Chastain's Maya as an amalgam of a public suffering immense loss of its innocence, as well as the sometimes quiet, sometimes volatile outrage and frustration of American agencies trying to achieve a measure of closure against a single man whose orders and decisions changed the cultural outlook of a nation. The film pulls back the curtain of what America had to become in order to get this dirty job done, showing the raw methods necessary and rawer nerves that result. 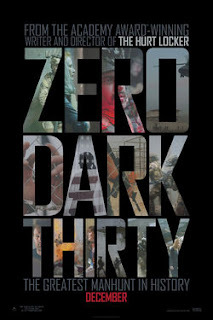 Zero Dark Thirty is a hard and objective look at a decade-long hunt for one man. The men in the employ of the terrorists are not made monsters unnecessarily. In the same light, America is not left with virtuous clean hands either. We know how it ends, but we may know what it took to get there.